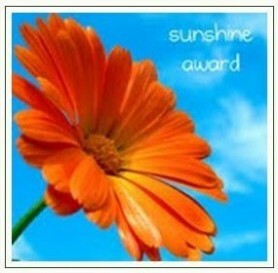 What a nice way to end a hard day at work, I was awarded the Sunshine Award by Reduce Footprints! Difficult one! I used to love philosophy in secondary school but right now it seems I only remember a lot of names but not really what theories they stood for. However, when it comes to ethics I do like virtue ethics, which was founded by Aristotle. Haven't done Facebook page for this blog yet. Depends on the day. In general I would say during weekends it's probably mornings and during weekdays evenings. I think one of my favorite vacations was in Northern Spain, people tend to go to Spain to enjoy the beach but northern Spain is also really beautiful and has a different charm (just laying on the beach has never been my thing anyway). I don't mind too much as long as I have fun doing it. I like hiking in the forest, we also had a lot of fun playing Finnish Baseball with our friends. On the other hand I do like dancing and yoga as well. I think I like to do a little bit of everything not to get bored. Lemon-water, if warm with a bit of honey. I think I like all flowers in all shapes and colours, everything that blooms is pretty. Cherry blossoms are lovely in spring and roses later in summer. Also orchideés are pretty. Environment and all that comes with it. I hope you like the other ones as well and I wish you all the best with moving to the countryside, that's so exciting!